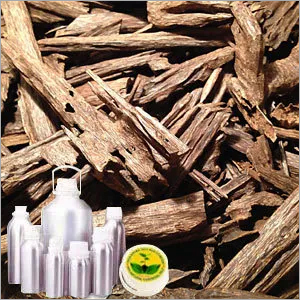 Originally found in Bhutan, South Eastern parts of Asia and North East India, Agarwood Oil is one of the finest grades of oil which is rarely found. It is being used to prepare incense, drugs and aroma based oil since time immemorial. Popularly referred as aloes wood or aloes, this oil is derived from different classes of Agarwood like A Crassna and agollocha. Agarwood Oil contains elements like palmitic acid, selinene, phenyl ethyl chromones and sesquiterpenes. The Agarwood Oil is known for its high aphrodisiac and anti microbial properties. Its stimulating and diuretic attributes are used to formulate tonic to treat epilepsy. This oil is also recommended for treating health conditions like flatulence and asthma. Moreover, it is beneficial for patients suffering from nervous complications, digestive disorder, rheumatoid arthritis, bronchitis, fever, small pox, spasm of respiratory and digestive tracts and ailments caused during and post child delivery. Its presence can also be noticed in herbal medicines and aromatherapy products.